The Sixties was a decade full of cultural revolution, and no year was more exciting or significant than 1967. Fifty years later, those events are recounted vividly in Sgt. 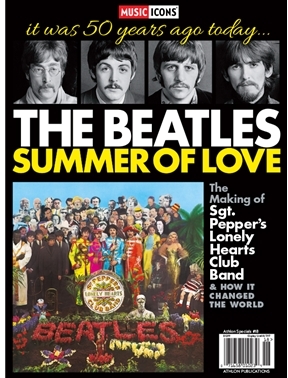 Pepper’s and the Summer of Love, a book that tells the story behind the making of the Beatles’ groundbreaking album, Sgt. Pepper’s Lonely Hearts Club Band, and the rise of the peace-loving counterculture whose movement gave birth to the Summer of Love.